Natache is a born and bred Namibian and is currently an Architect-in-Training who is working towards becoming a professional Architect. She graduated with a Masters of Technology in Architectural Technology Professional, in 2018, from the Graduate School of Architecture University of Johannesburg in South Africa. She further holds a Bachelors in Architectural Studies degree from the University of kwaZulu Natal in South Africa. She has 1 year of working experience of which 6 months was working as an architectural technologist for Toivo Nuugulu Architects in Namibia before joining Nina Maritz Architects in July 2015. 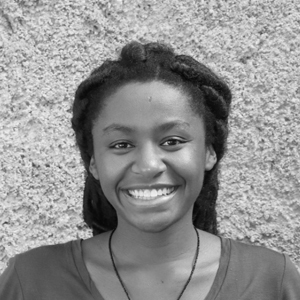 Natache had been actively involved in the Architecture Students Committee and UIA 2014 Durban Student Steering Committee at the University of kwaZulu Natal, as well as previously presented her dissertation paper at the 7th European Conference of African Studies for University of Johannesburg in 2017. She has an interest in the uses of architectural representation in the documentation and transformation of African organizations.